On this page of our site you can quality information about Ludwig van Beethoven piano music including printable sheet music, free mp3s, and other useful info. Ludwig van Beethoven was one of the greatest composers of all time. His story has inspired millions of musicians around the world – It is the story of survival, of overcoming the hardest of hardships in a time of great adversity. The great conductor Hans von Bülow once proclaimed that the Well-Tempered Clavier of Bach is like the Old Testament of music literature, while Beethoven’s 9 symphonies are like the New Testament. While so many composers before him were able to write tens of symphonies, everything changed after Beethoven, where each symphony (and movement) had to be different from every other. Few composers could write past their 9th symphony, and like Beethoven, writing a 9th symphony often meant a foreboding death sentence. There are so many misconceptions about how Beethoven piano sheet music should be performed on the piano. 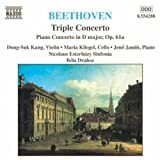 Today, we are fortunate to have fantastic ‘Urtext’ editions which clean up the messes of bad publishers of the centuries, who decided they knew better than Beethoven and added their own pedalling, tempo markings, slurs, and even wrong notes. That is why it is sometimes a bad idea to get the free scores found over the net. If you have serious concerts coming up, it’s best to invest in a German ‘Urtext’ edition such as ‘Henle’, so you get the better satisfaction of getting to the core of Beethoven’s grand vision. You will read more about our tips in choosing between classical piano sheet music on other pages of our site. Also, keep in mind that Beethoven was claimed to be an astounding virtuoso pianist in his day. He could really show off at the piano if he wanted to. Critics often even mentioned his playing as ‘barbaric’ and ‘bangy’. But he always treated his music with the utmost seriousness and would ridicule anyone who didn’t feel the same way. 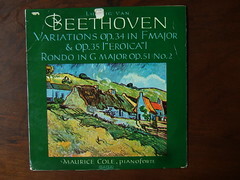 Whenever you pick up a piece of Beethoven sheet music, always remember to play it with great passion and temperament. Use this link to search our database of piano music compositions by Ludwig van Beethoven. 2. You can create your own Beethoven piano sheet music free of charge using special notation software. For High-Quality sheet music delivered to your home, you can order a copy of piano music by Ludwig van Beethoven from Sheet Music Plus. You can listen to mp3 downloads of this composer right away using the link below.